At fifteen, Blanche Nero watches the electrocution of her Italian immigrant father, punishment for the inexplicable brutal murder of his recently acquired friend Old Man Flaherty. She resolves to do something with her life that values humanity over justice, mercy over sacrifice. But she is forever haunted by the mystery of her father. She is also drawn irresistibly to the bigger human mysteries of violence and death. After a grueling but successful academic career at some of the nation’s finest university hospitals, Blanche is almost sixty. Her long career as a trauma surgeon at Charity Hospital in New Orleans has been abruptly ended by Hurricane Katrina. She takes a year sabbatical from the medical school and leases a small flat in Venice, seeking an understanding of her father in the place where he lived his formative years—and of herself by reliving and recording her own remarkable life. On a cold morning in Piazza San Marco, Blanche meets Count Lorenzo Ludovici (Ludo) an aging, elegant, and charming Venetian who is dying of AIDS. Blanche is drawn to him and is uncharacteristically self-revealing as he introduces her to his beautiful city. As their relationship develops and his health deteriorates, Blanche becomes ever more fond of the count. As she relives her past by writing down what she remembers, she sees the girl she was and the woman she became with new eyes: the mystery of her father’s death; her distant mother; her sometimes misguided adolescent efforts to grow up. And then discovering the thrill of medicine, especially the sensual thrill of trauma surgery and losing herself in that career, immersed in violence. She recalls her attempts at relationships, especially with Jesse Pinto, the one man whom she has ever loved, and how she ended that. She remembers her love affair with the Big Easy and Charity Hospital (the Big Free) that came suddenly to a violent end. Through a series of painful and revealing conversations, Blanche and Ludo discover that each of them has private knowledge of interlocking pieces of their history. 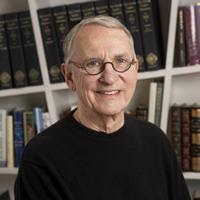 Ken Brigham is emeritus professor of medicine at Emory University. He is widely published in the scientific literature and has authored or coauthored two previous novels and two nonfiction books. He lives with his wife, Arlene Stecenko, in midtown Atlanta. For more information see www.kenbrigham.com. You can also follow Ken on Twitter. 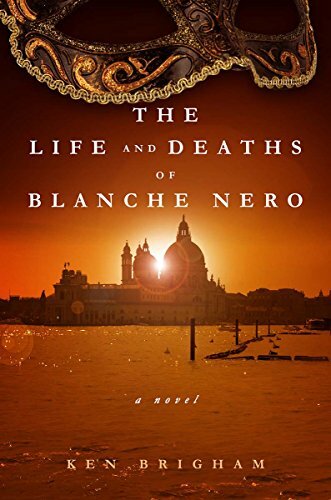 To win a paperback copy of The Life and Deaths of Blanche Nero, please enter via the Gleam form below.